Following the passage of Texas’ Senate Bill 4 – also known as the “anti sanctuary cities bill” – activists and allies are calling for a Summer of Resistance. SB 4, which goes into effect September 1, mirrors the highly controversial “show me your papers” SB 1070 in Arizona by requiring law enforcement to cooperate with federal detainer requests and allowing officers to ask anyone they’ve detained about their immigration status. If officers (including those on college campuses) refuse to cooperate, they will be subject to Class A misdemeanor charges. The bill is so bad the ACLU has even issued a travel advisory for the entire state, warning citizens and non-citizens alike that traveling to Texas could lead to illegal harassment and intimidation by law enforcement. Because of the passage of #SB4, we are issuing a Texas travel advisory. SB4 is basically the anti-feminist, anti-immigrant bill of our nightmares. Critics have drawn comparisons to Arizona’s SB 1070 – which required police to ask for documentation when there was “reasonable suspicion” someone was not in the U.S. legally. While key parts of SB 1070 have since been struck down, SB 4 makes use of its same discriminatory practices and policies. It turns police officers into immigration agents, giving them a license to racially profile, discriminate, and unjustly arrest those who fit the profile of a non-citizen. It’s important to note that it’s not just police officers who will enforce these immigration laws. As Suzanne Gamboa at NBC explains, SB 4 also enlists public servants and members of local governing bodies in the effort. It prevents these individuals from adopting any policy meant to protect migrants and from standing in the way of federal immigration officers enforcing immigration laws. This is a full scale attack on migrants, their families, and communities – and Texas’ entire system of governance is now complicit. As atrocious and fear-inducing as SB 4 is, immigrants and their supporters are not taking this sitting down. Jassary Rico and Chris Garcia – Austin high school students and children of migrants – started a petition hoping to protect sanctuary cities and stop SB 4. Noting an increased sense of anxiety, fear, and uncertainty among their family members and at their high school following the bill’s proposal, Jassary, Chris and their 34,181 supporters asked lawmakers to stop this dangerous bill and ensure the well being of all Texans. I spoke with them on the phone after the news that the bill has been signed into law, keeping in mind the immigration raids that took place last month in South and Central Texas. Fear in migrant communities is not new. But this bill makes it worse. It puts a target on the backs of migrants and all people who could be read as migrants, foreign, or other. Jassary, Chris, and other grassroots activists are raising awareness and mobilizing resources to prepare migrant communities in the coming months. These announcements and actions follow a “Texas Moms Fight Back” Mother’s Day demonstration and other anti-SB 4 actions. In response to this latest “show your papers” law, activists are showing their teeth. To borrow from Jassary, que siga la lucha. Barbara is a doctoral student at The University of North Carolina interested in im/migration and migrant activism and organizing. Is Your Congress Member Taking Money From Companies Profiting Off Family Detention? A new activist digital project aims to map the still-unfolding horror of the United States’ “zero tolerance” immigration policy. Defense contractors and for-profit immigrant detention facilities are cashing in on the Trump Administration’s child internment camps. 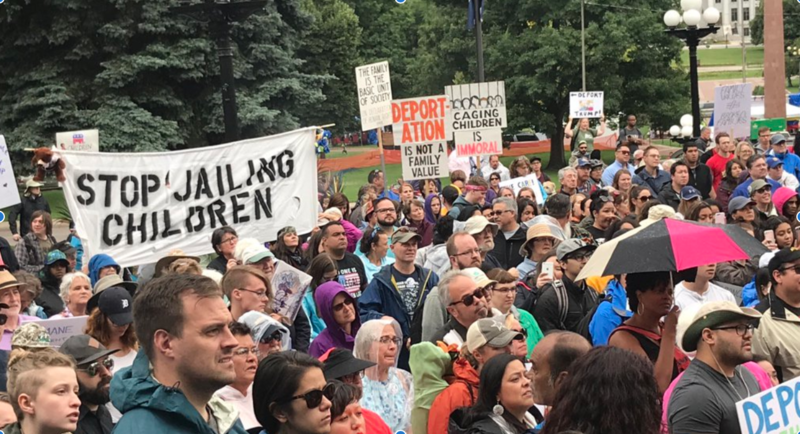 This past Sunday, June 2nd, immigrant justice activists Movimiento Cosecha organized a National Day of Mourning to honor the victims of the U.S. immigration system. 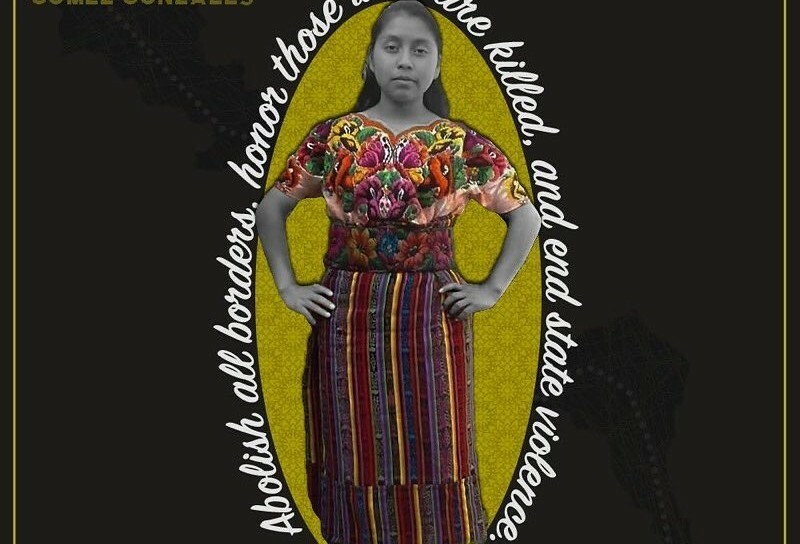 The impetus behind the action was the deaths of two young immigrant women killed by ICE and Customs and Border Patrol last week: Claudia Patricia Gómez González and Roxana Hernandez.